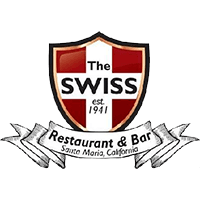 The Owners and Staff of The Swiss Restaurant & Bar invite you and your friends to enjoy a beverage in our famous Lounge before dining. Direct off the Red Oak Pit, known far and wide, is our House Specialty Prime Rib. Also off the pit are our many famous steaks, chicken breast, pork chops, bbq rack of lamb, and full and half rack of baby backs. All cooked to your heart’s desire. "My favorite steak house around hands down! Great food, excellent cocktails, friendly service and a relaxing atmosphere makes this place easy to love. Start with their famous bloody Mary's. As for starters, try the grilled artichoke, sweetbreads, linguisa or clam chowder. "-Codee C.